Veganism is a journey that I started at age 12, when I decided to become vegetarian because I was concerned about animal welfare. Eventually I went back to meat, as my young mind didn’t quite understand the concept of discipline, and in my 20s I tried and failed again. When I moved to Berlin in 2012, my health was deteriorating: I had constant migraines, I was tired and gloomy. Something had to give, so I cut meat out of my diet for good. It was tough at times, especially because I work as a touring DJ who regularly travels to different countries with different eating habits. I make mistakes and I don’t claim to know everything, but I’ve learned a lot of lessons along the way, and with that knowledge I’ve crafted some tips to sticking to your vegan guns while working as a touring DJ. It’s not so hard once you get the hang of it. And if anyone has more tips, please feel free to share them with me. I’m always looking for new ways to stay even healthier on the road. Make a superfood breakfast for the morning you leave. Top up on nutrients with a green smoothie full of bananas, spinach, hemp seeds, parsley, dates, pineapple and spirulina. Go crazy with it, and make sure you mix it well with filtered water or nut milk, otherwise you’ll be chowing down your smoothie like a baby. 2. Get the hang of airport navigation. Frequent flyers are ace at navigating airports, which is how I know that only the tiniest airports offer literally nothing to eat besides sad green leaves or a two-day old fruit salad—eat those at your own peril. You can get antipasti and freshly squeezed orange juice at Rome Fiumicino, and Heathrow’s Terminal 5 has a Japanese restaurant called Wagamamas, as well as freshly pressed juices and they do a great seaweed salad. Get familiar with these havens. Fellow vegan CLR artist Tommy Four Seven introduced me to the joys of medjool dates. They’re high in calories and basically taste like caramel, which makes them a perfect in-between snack on the road when a full meal is hard to come by. Also, the sweetness satisfies that lack of sleep sugar/carb craving that I tend to get the day after playing out. 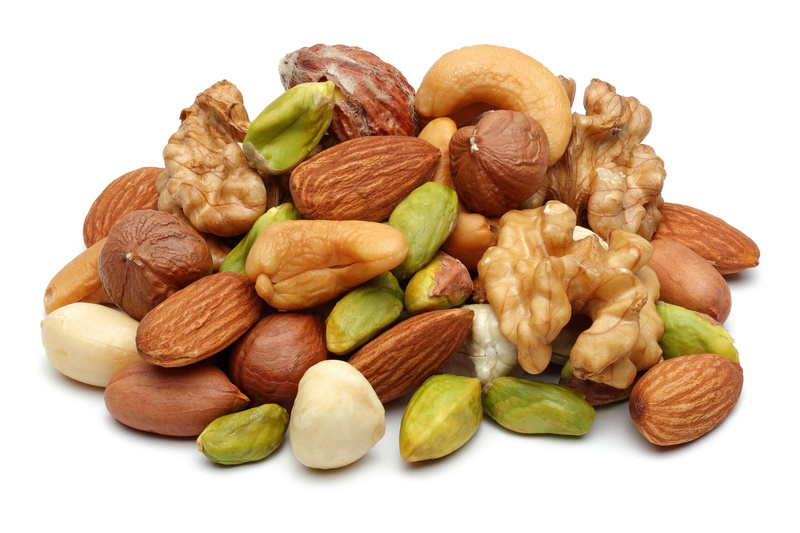 Have a bag of mixed nuts to hand, as they’ll satisfy you in emergencies. Just opt for natural ones rather than the salty, dry roasted ones. A productive week in the studio usually frees me up to be creative in the kitchen, where I enjoy cooking and baking new vegan recipes. It really is the final frontier of culinary delights in my world. 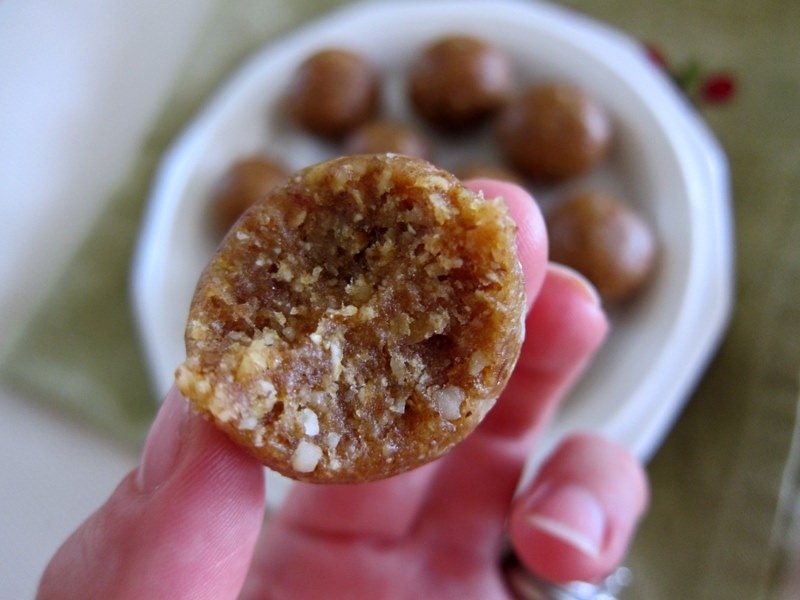 You can make “energy balls” with dates and nuts, or perhaps some oat flapjacks. There’s usually enough left over to pop in a bag and take away for the weekend, which also supplies the much-needed travel meals. Allergic to the kitchen? You can also buy premade meal replacements like energy bars, which are generally higher in sugar and carbs and contain some not-so-healthy starch, but will satisfy your hunger without reaching for junk food like crisps. Fruit is probably the easiest food to throw in your bag. Bananas are high in calories and will be your best friend when no other options are available. 7. Settle in for the long haul. Plan in advance for the jumbo jets, because most airlines need a minimum of 24 hours to prebook a meal. I’ve been caught out a couple of times, so I also take an extra meal that’s premade or café-bought, just in case. The most fun experience I’ve had was a trip to Australia during which each meal was a surprise, including plain fruit platters and vegan Indian cuisine. 8. 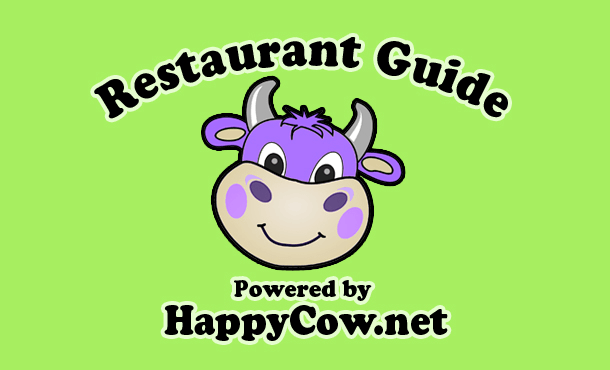 Check the Happy Cow app. Serious vegan readers will already know about this website, as it has a lot of vegan and vegetarian-friendly shops and restaurants listed all around the world. It comes in app form, too, which is a godsend. It’s basically Trip Advisor for herbivores; you can locate the nearest restaurant and people can rate and review them. I’ve managed to find fully vegan restaurants all over the world and in places you wouldn’t expect, from the depths of beef-eating Argentina to the “eat all and waste not” cities of China. It’s very uplifting to see people across the world conscious about food. 9. Prepare for more than a few nights. Get to a local supermarket and stock up on your fruits, salads and whatever vegan foods you can find. It’s more fun in warmer climates, as the selection of fresh fruit can be out of this world. As a mango junkie, Colombia is my favorite country for tropical fruit. They even had baby mangos! I’ve tried fruits I can’t even pronounce and introduced new varieties to the locals who hosted me. After many years of spending a small fortune on bottled drinking water in expensive airports—I swear I could of invested in my own water distillery—I finally purchased a Brita travel bottle. It’s BPA free, has a special mini filter and is my best travel buy in recent months. It’s not really exclusive to vegans because everyone should drink up and stay refreshed. 11. Vegans don’t eat white sugar. Photo via Natural style blog. 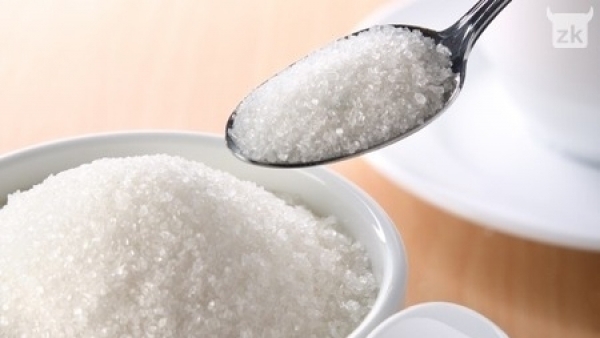 Most don’t know that white sugar is processed using the animal bones. Yep. If you have a sweet tooth, pack some packets of sweetener. Living in Germany has made me accustomed to drinking tea with lemon, but a big cup of PG tips with almond milk will always be my thing. I always pack vegan coffee whitener. Most countries have alternatives to milk, but many places like Italy aren’t familiar with soymilk, let alone nut milks. It takes time, but eventually you’ll start to enjoy espresso. 12. Charm the room service staff. Room service menus are always the same and always bleh—after all, a human can only eat pasta with tomato sauce so many times. A round of side orders can be a healthier alternative than spaghetti. Salad, potatoes, seasonal vegetables—you get the idea. If you’re feeling brave, call them up and see if you can make changes to meat dishes and substitute the flesh with extra veggies. It pays to be polite here! Superfoods spirulina and chlorella also come in tablet form and can be taken to add extra nutrients when you’re surviving on pastas and fresh air. I also take German Orthomol Veg 1 caps, which contain many vitamins, algae and an essential dose of B12. Don’t forget to pack them. 14. Exercise away the after party blues. Usually I feel pretty manky after a gig, despite my clean living lifestyle, which is drug- and alcohol-free. A quick 20-minute jog on the treadmill can do wonders. No gym in the hotel? If you hear someone leaping around the neighboring room around 10 am, that might be me trying to get my sweat on. My X1 controllers also double up as weights. 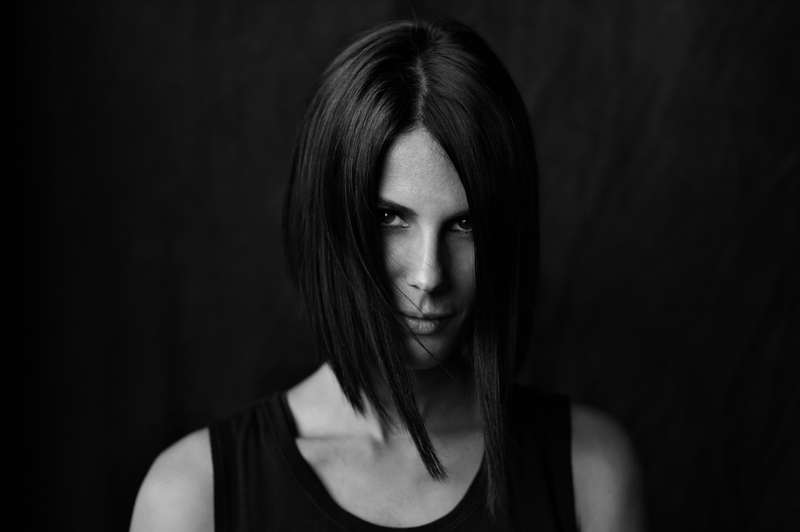 Rebekah’s Distant EP, which features a remix from Sterac, is out May 22 via CLR. Cover photo of Rebekah by Vitali Gelwich photography.